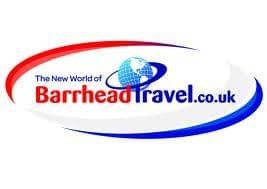 Book your holidays with Barrhead Travel in confidence. We are an ABTA Bonded and ATOL Protected Travel Agency that provides very competitively priced holidays, cruises, city breaks, hotels, flights and business travel to our customers throughout the UK. Barrhead Travel’s 100% independence from any one tour operator allows our holiday consultants to select the very best holidays for your needs. We can select any holiday package or flight from any tour operator to ensure that our holiday customers get both, a huge choice in holidays and fantastic low prices.